Smoking cigarettes increases your risk for respiratory infection. Cigarettes lower your immune system functions and make it more difficult for your body to move nutrients to your cells. Smoking cigarettes also affects the cilia (tiny microscopic hairs) that line your throat, which normally keep secretions from entering your lungs. 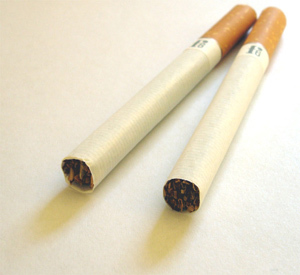 Smoking debilitates them and allows bacteria to enter that would otherwise have been blocked. When taking antibiotics, take all of the prescribed medicine. Don't stop when you are feeling better, because infections can come back when the medication is cut off early.